Many of the rivers and streams along highway MN 61 on Minnesota's North Shore have high gradients as they flow to the lowest location in Minnesota, Lake Superior. 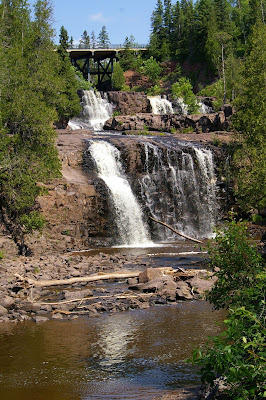 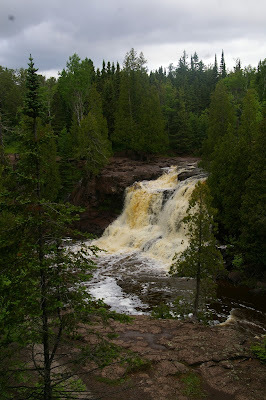 Because of the high gradient, most of the rivers and streams have waterfalls and the Gooseberry River is no different. 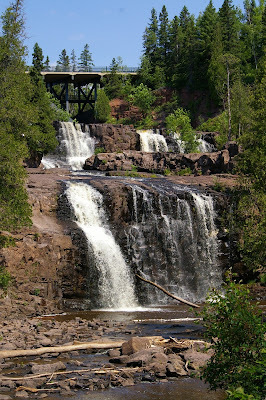 Gooseberry Falls State Park (http://www.dnr.state.mn.us/state_parks/gooseberry_falls/narrative.html) is the second-most visited state park, only Fort Snelling is visited more often. Bedrock of the area is comprised of 1,100 million year old North Shore Volcanic Group of the Midcontinent Rift System. 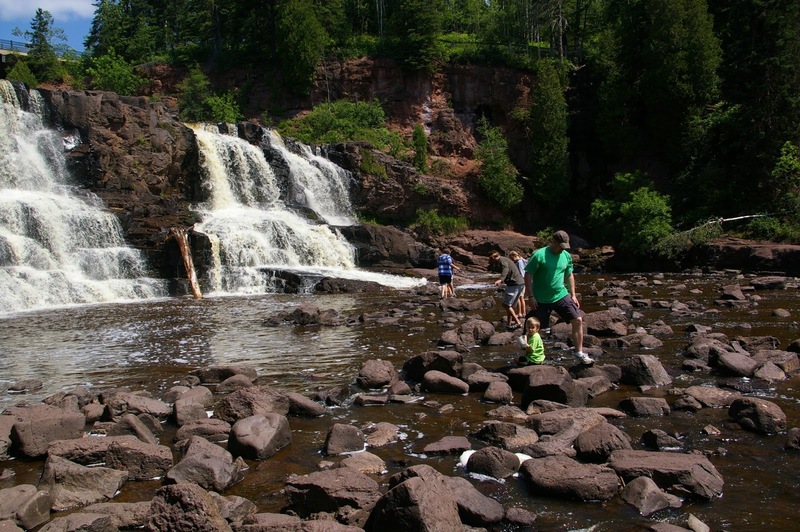 The vast majority of rock types found within the Midcontinent Rift System along the North Shore basalts, though there are smaller amounts of rhyolites and intrusive gabbros and granites. 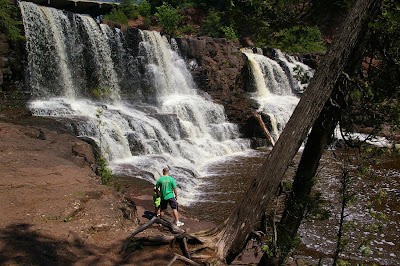 There are several hundred lava flows exposed along the North Shore as part of the Midcontinent Rift System. 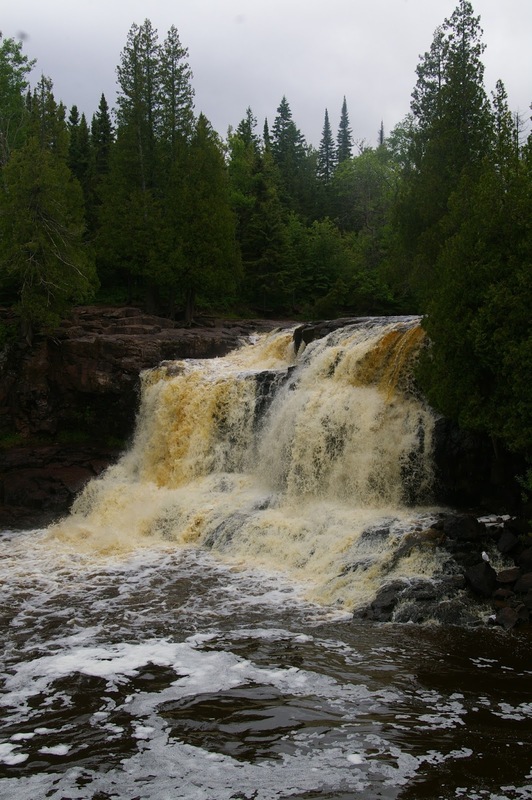 The Gooseberry River flows over several distinct basaltic lava flows forming waterfalls at more weathering-resistant areas. The three main waterfalls are called the Upper, Middle, and Lower Falls, with the Lower Falls being located closer to Lake Superior. 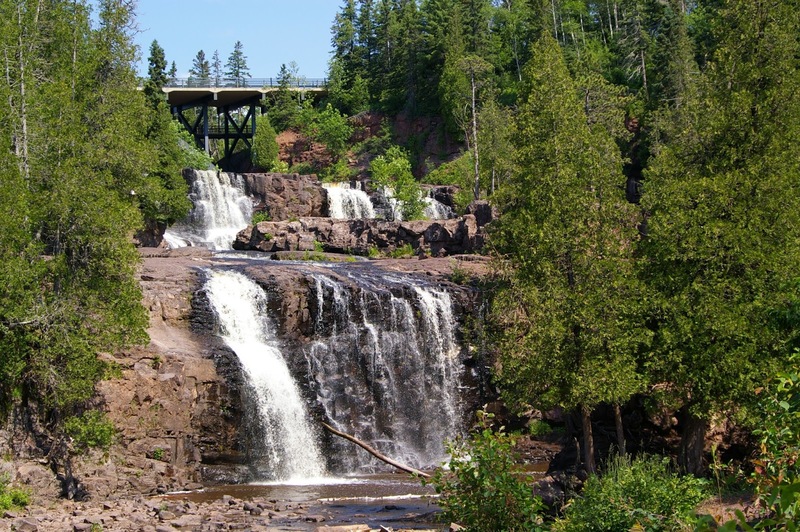 All three of the waterfalls are easily reached via paved, handicap-accessible trails from the Joseph N. Alexander visitor center that was built in 1996. The Upper Falls, pictured above, are located just north of the MN 61 bridge. 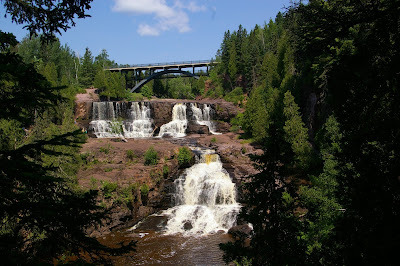 The trail takes you underneath the highway. Walking towards the lake leads to a footbridge over the Gooseberry River that allows views of the Lower and Middle Falls further upstream. 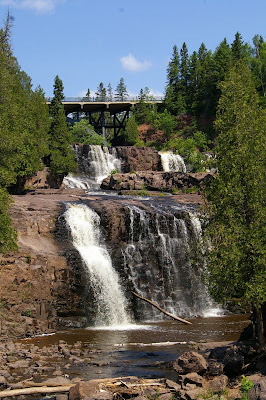 The Middle Falls are located closest to the visitor center and are more easily visited. 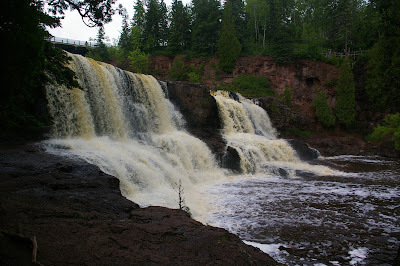 These falls are the most impressive as well, especially during periods of high flow on the river. When the Gooseberry River has low water levels, it is quite easy to walk out onto large basalt boulders that have come downstream from the waterfalls.